Gah! That’s a long title, I’m not a fan of full sentence episode titles. 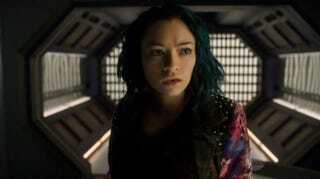 Welcome to the Dark Matter season 2 episode 3 “I’ve seen the other side of you” spoilerific reaction thread where you can share your thoughts on the show as it plays out or after it’s over. Do you like the new opening credits? Spoilers beyond this point, you’ve been warned!! !